How to find the length of diagonal of square? 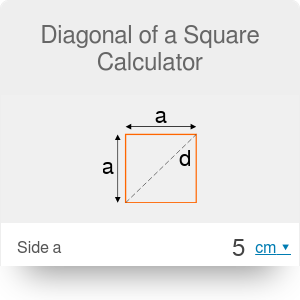 Find out the length of square diagonal with our diagonal of a square calculator. Check out below how to find the diagonal of a square formula or simply give our tool a try - you won't be disappointed. Each diagonal divides the square into two congruent isosceles right triangles - 45 45 90 special right triangles. Such triangle has a half of the area of a square, its legs are square sides and hypotenuse equals to the length of the diagonal of a square. So, for example, if the square side is equal to 5 in, then the diagonal is 5√2 in ≈ 7.071 in. Type that value into the diagonal of a square calculator to check it yourself! Where does this equation come from? You can derive this diagonal of square formula e.g. from Pythagorean theorem. As we noticed before, the diagonal of a square divides the square into two congruent right triangles. With our calculator it's a piece of cake! Type the given value into a proper box. Let's say we know that the square side is equal to 8 in. Diagonal of a square calculator displays the result! In our case, the diagonal is 15.556 in. If you want to check the result in a different unit, click on the unit name and select the one that meets your needs. For instance, 15.556 in is 39.51 cm and around 1 ft 3 in. 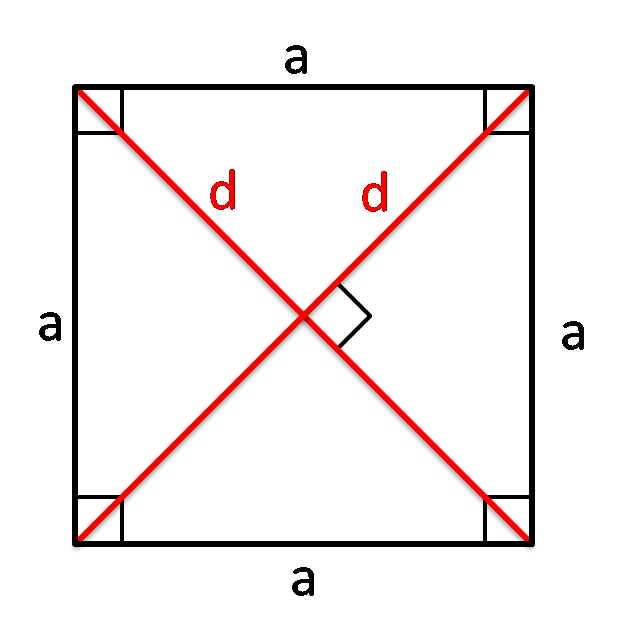 The diagonal of a square calculator works the other way round as well - knowing the diagonal, you can calculate the square side. Now you're the expert and you know exactly how to find the diagonal of a square given square sides. However, if you don't have it provided, use this general square calculator where you can type the area or perimeter, and the tool will find the diagonal as well. Diagonal of a Square Calculator can be embedded on your website to enrich the content you wrote and make it easier for your visitors to understand your message.